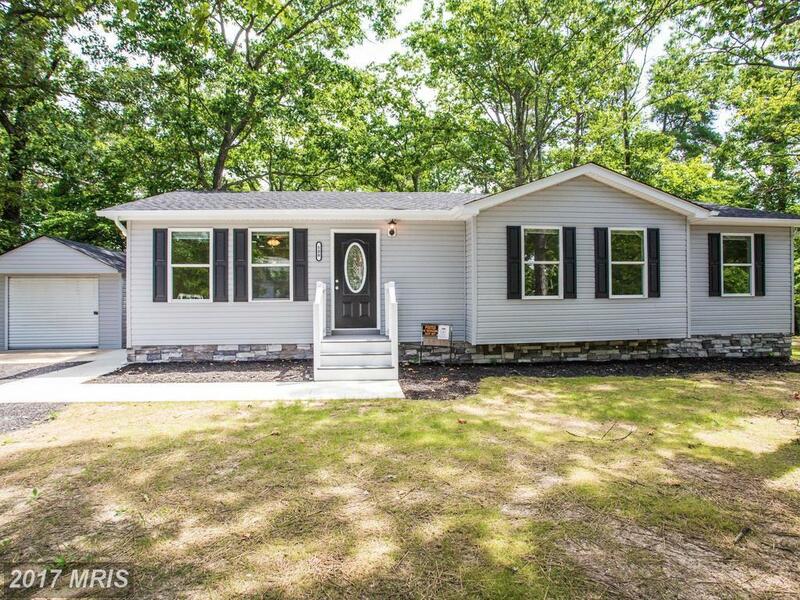 Gorgeous 1, 228 square foot fully renovated rambler with one car detached garage. Open kitchen and living room floor plan, All new kitchen with granite, SS appliances, soft-close cabinets, and under cabinet lighting. All new bathrooms. All new HVAC. All new electric. All new carpet and hardwood floors. All new lighting. All new roof, siding, windows, and gutters.